Jishaku #6: Deluxe Pro Blender is an eye blending brush made with natural goat sokoho bristles. The curved bristles blend and diffuse eye shadow in just a few strokes. Created by makeup artist Rae Morris in collaboration with master brushmakers in Japan. Soften and blend shadow with short sweeping motions. 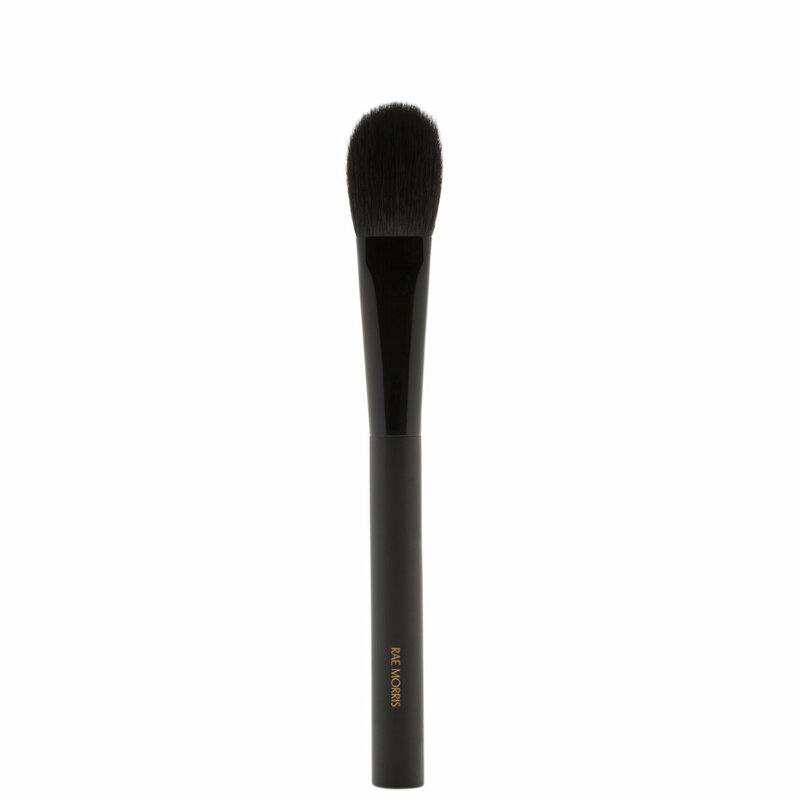 You can also use this brush to contour and shade small areas of the face. It performs best with powder-based products. This gorgeous brush sets undereye concealer flawlessly, picking up the perfect amount of powder everytime. I have been searching (for YEARS!) for a brush to set undereye concealer. Others applied too much or too little setting powder, or failed to reach the small corners/edges of the eye. 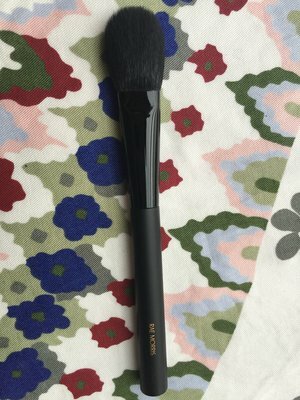 This brush’s flat shape allows me to really press in setting powder after, preventing the dreaded creasing I would eventually get. I feel like Goldilocks and found the absolute perfect one with this brush.